It seems to be an apocalyptic situation that the internet has run out of space. One that forces us to convert all our dollars into gold, buy a truckload of non-perishable biscuits and make way for our reinforced bunkers! In reality, it is not that much of a deal. The American Registry for Internet Numbers (ARIN) is an organization that assigns IP addresses to individual systems. Whenever a system connected, it was put on the waiting list and assigned IP address later on. But, the problem we are facing now is just that the IP addresses have almost finished and hardly anymore can be assigned new IP! IP or Internet Protocol is the primary means of identifying any system over a network. It is assigned to any device capable of working over the internet like PCs, tablets, smartphones and even robots. It consists of four sets of numbers each ranging from 0 to 255. An example of an IP address is 12.123.123.12. This address is the fourth version of internet protocol named IP V4.0. It has been in use for quite some time and it had 4.3 billion possibilities of addresses that could be assigned. Now, the have been almost used up. As a result, the internet is running of space and the version needs to be upgraded to incorporate more numbers. The CEO of ARIN has spoken out that within a few weeks, there will be no more IPs available as they are closing in on 4.3 billion devices worldwide. Fear not, as the new system has already been finalised and will be up and running before that happens. 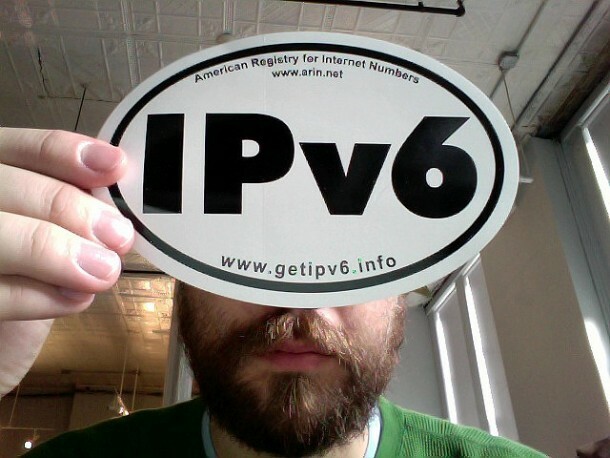 It is being called the IP V6. It appears like this 2008:0fbg:0a0b:12d0:0000:0000:0000:0002.#flasht.HGE9761U.dpuf. It has 13 undecillion possibilities so that no such problem will arise after its implementation. That’s a lot of devices. Do you think we will ever be able to choke this number too? I don’t think so, but we can never rule out the possibility. That’s what we thought with the previous system and its 4.3 billion possibilities! The IP V6 is much faster and easier to use than its counterpart. The users won’t feel any transition between the IP V4 and IP V6, but many of the users aren’t comfortable with the new system. Only 21% of US population wants to shift to the new system. But, it won’t be a hard time convincing them. No internet without IP address! And it’s not like we have any choice or something!